‘Hey, Figgy’ was the name of a play I worked on back in my university days. It was a stage-play adaptation of the opera Figaro. This post has nothing to do with opera or university; it’s just a good name for a post about figs! 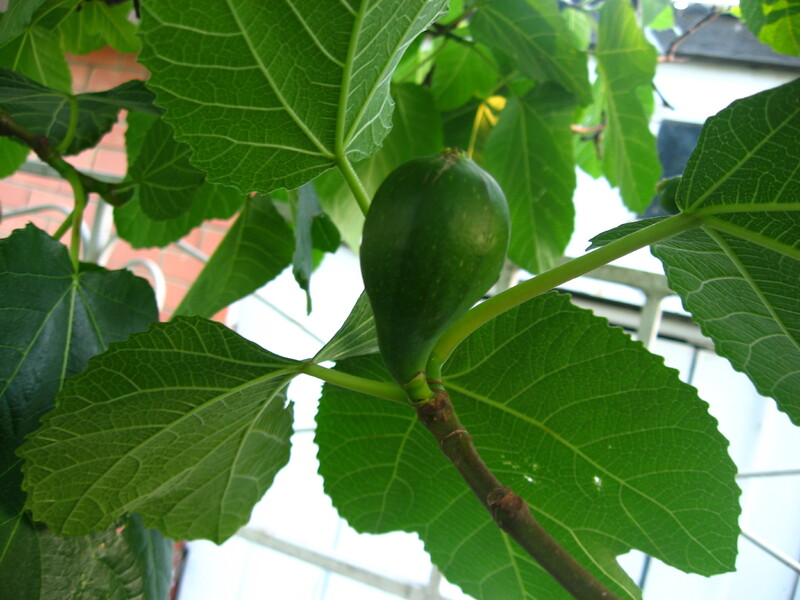 Yes, the fig tree in the backyard has started popping out little green baby figs. Which reminds me of all the chopped fig still in the freezer from last year…. oh dear. Well, whether it’s still okay to eat or not is moot, cos I’ve just baked a big swag of it into some cakey goodness. 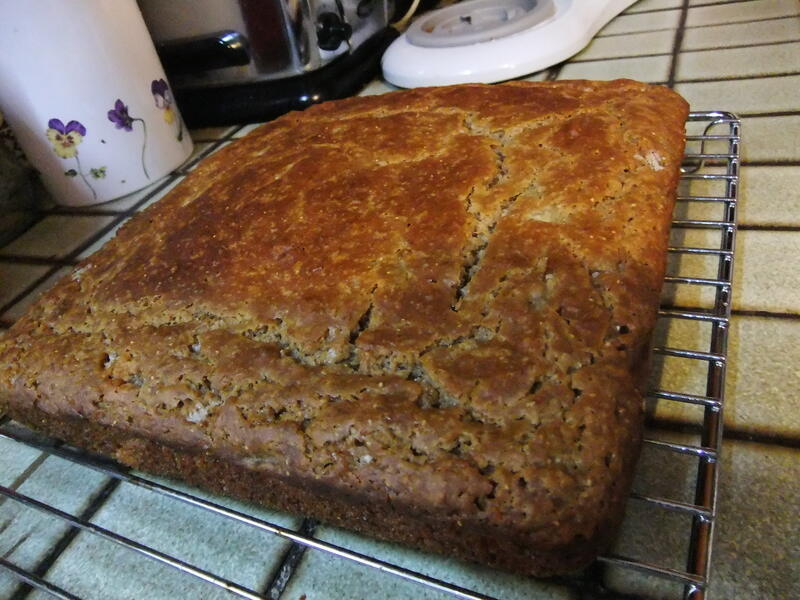 For this cake, I used the banana cake recipe from The Essential Baking Cookbook, with a couple of minor adjustments. Preheat oven to 180C. Grease & line a 20cm square baking tin. 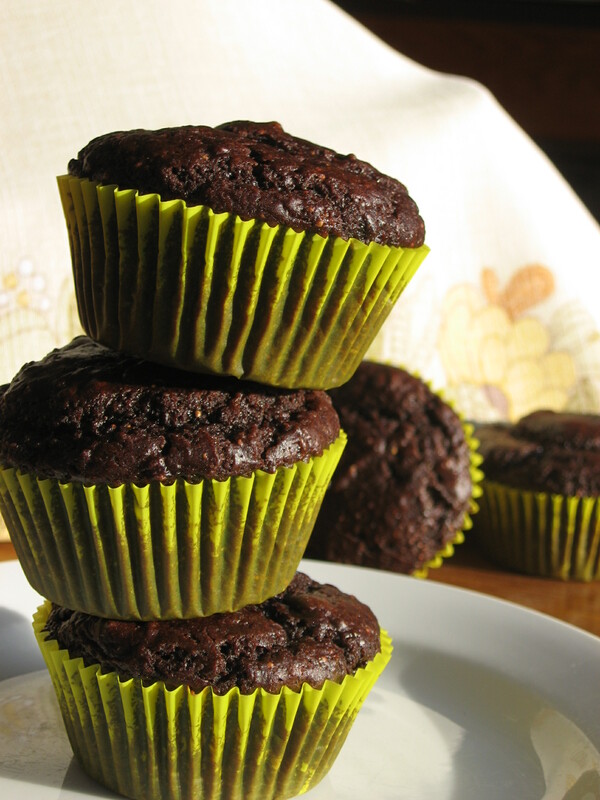 Cream the butter & sugar with electric beaters until light & fluffy. Add the egg gradually, beating well after each addition. Add the vanilla and fig and beat until combined. Dissolve the soda in the milk. Using a metal spoon, gently fold the flour, coconut & cinnamon into the fig mix alternately with the milk. Stir until combined & the mix is smooth. Pour into the cake tin. Bake for 1 hour or until a skewer comes out clean when inserted into the centre of the cake. I later iced this cake with a simple lemon icing, but sadly didn’t take any pictures. However the cake itself was perfect, dense and moist as you’d like your banana cake to be. The fig flavour is very subtle, and the coconut gives a nice bit of texture. Having been so successful with the banana cake adaptation, I thought I might have a go at adapting an applesauce cake recipe. 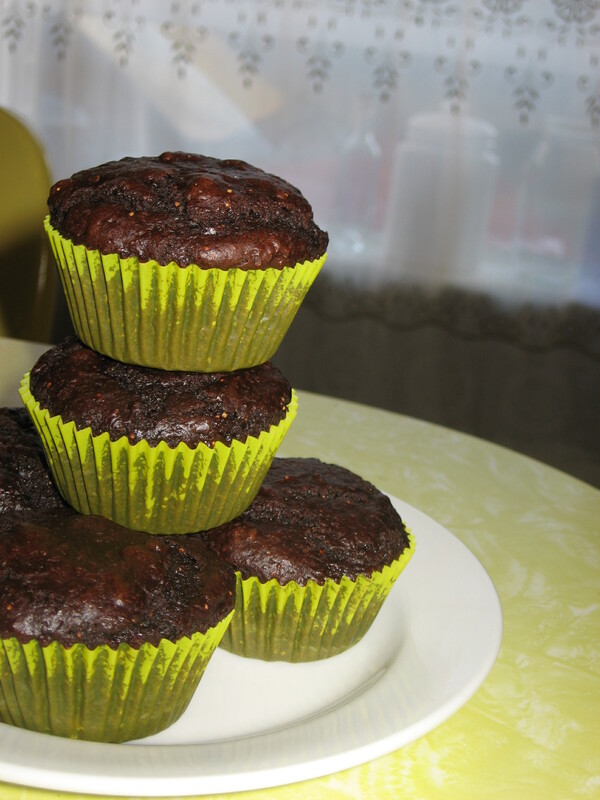 Chocolate muffins? I think so! I shamelessly nicked a recipe from DinnerDishesandDesserts and simply substituted the applesauce with about a cup of defrosted frozen figs which I pureed smooth with my stick blender. I skipped the peanut butter chips (because, sad face, I’m yet to find any in Sydney or Melbourne). 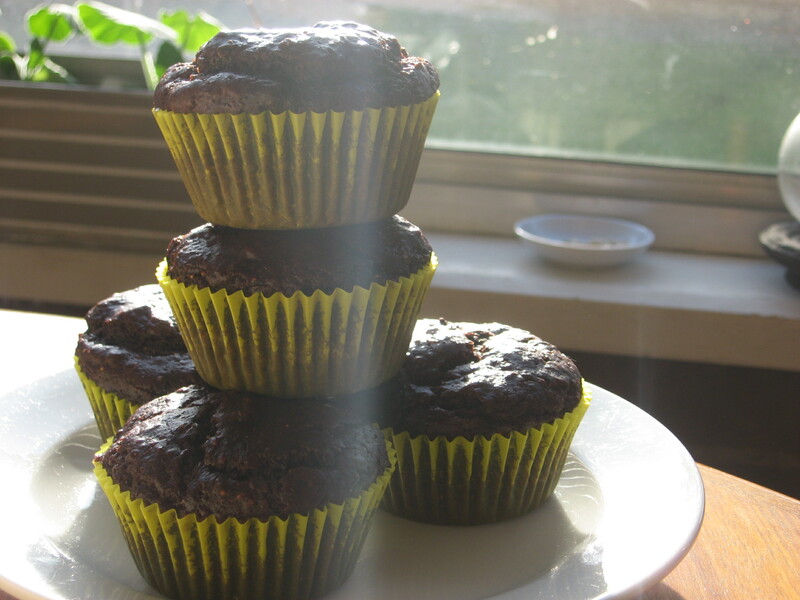 I did contemplate chocolate chips, but I was using pure cocoa powder so I thought it would be chocolatey enough. My batter seemed a little dry so I also added a splash of soy milk (about 2tbs). They turned out fantastic! Moist, flavourful, with a subtle hint of fig and an interesting texture from the fig seeds. If they don’t all get eaten first, I may whack some orange icing on them and call them Halloween cakes. But…. they might get eaten first. Love the thought of having fruit “laid-up” from last year! They both look yum, too.